Find Your Mr. Right is an online program designed specifically for smart, practicing single Muslimahs between the ages of 25 to 40. We teach you how to attract and communicate with a quality, practicing, marriage-ready man without lowering your personal or Islamic standards so you can get the proposal you've always wanted. My goal is to help you be as successful as possible in the process of getting married, and to help you ENJOY it at the same time, WITHOUT ever compromising your modesty. This program has been set up to allow you to comfortably work through this process of getting married over the course of six months. This is not a guarantee that you will get married in this time but rather a significant period of time that allows you to be proactive, to grow and learn new things about yourself, to take action, and to receive support along the way. 8 Week Find Your Mr Right Program to help you find, meet, speak with, and marry your Mr. Right without compromising your deen. Access to members’ only community and forums. Your own accountability partner from the program to help you stay on track on actionable items and to motivate each other on the path of Finding Your Mr. Right. Marriage Resume (biodata or CV) template with scripts to help you magnetic to your prospective Mr. Right and stand out from the crowd. Bonus modules on topics like self-confidence, moving on when proposals don't work out, beauty/style guides, and much more. Confident First Meeting cheatsheet to help you overcome the nerves before meeting a Mr. Right potential and focus on your best qualities. Mr. Wrong Filter to help you quickly eliminate players, and men who are not serious or marriage-ready. Enroll Now To "Find Your Mr. Right"
When you’re on the path of finding your Mr. Right there are a lot of "what ifs" that pop up and you need a lot of support. You don’t want a simple question or challenge you’re having to hold you back for days or even weeks.When you enroll you receive access to the private Find Your Mr. Right community forum is a place to ask questions, get feedback and share tips, ideas. You can also share and celebrate your wins with the other students. We will pair you up with another Find Your Mr. Right student in the program to help you both stay accountable to each other in completing the weekly assignments and to keep your spirits up as you work along the material. We've hand selected graduates from the Find Your Mr. Right program to serve as mentors to you as you work through the program. Ask for their feedback and support! “My name is Megan Wyatt, and my passion is working with individuals to deepen their sense of self and connection to who they want to be in their lives. Working with Muslims for the past ten years as a personal coach has shown me that many single Muslims are struggling to not only find a spouse, but drifting in a sea of confusion about what marriage is about. There is fear of marrying the wrong person, fear of divorce, fear of being controlled for women, or disrespected for men, and fear of not being good enough for marriage. Everyone wants to get married because of what they want marriage to bring them in their lives, but few people are prepared to be in a place of giving for their future spouse. So between the fears and confusion of precisely why marriage is so important, we see single muslim men and women delaying marriage, not knowing how to choose, and being clueless about what is coming after marriage. "I now understand men and how they think and I am better prepared in the way I communicate and the way I present myself through my clothing. In my heart also I feel content because I am doing all the possible things to get me married and am confident Allah knows when is the best time to meet someone for me so this is the time where I do the effort, the Islamic way, and leave the rest to Allah." "I have learned inside tricks about the art of actually being straight forward and in an appropriate manner when communicating with a brother. I have learned how to also listen better and take other people’s opinions. I also found when you do that especially with a man so he feels special. I already recommended this program and would definitely recommend it again to other sisters because I have learned that if we open our eyes that you can put things that you already know into practice. Things that are common sense but you haven’t been acting them. I would tell other sisters to look in themselves and see the positive qualities they have and use it to their advantage and to also take the right path." "Before this class I was very pessimistic and I felt like there was something wrong with everyone but myself. So this class has opened my eyes and has helped me to work on myself and get that male perspective. Taking this class has allowed me to step out of my comfort zone and get the help of others onboard who want to help me and be proactive. I’m seeing the fruits of my work and feel I’m happier now, seeing people involved has totally changed my behavior and the way I think. Even though I’m not married yet, I am more comfortable being able to speak to others and getting their help in finding my Mr. Right. If you are doing the same thing and you’re not getting any result, I would definitely recommend taking this class. It can be an eye opener for a lot of things that could be hidden and you don’t even know." I learned how to communicate aspects of me that indicate to a potential husband that I would make a fabulous wife. "Taking this class has allowed me to think more about the womanly dimensions that I have and also actively think about what I can offer in a marriage and communicate that clearly. I have learned to emphasize those qualities like my desire to be committed to my family and children that really matter to a man. I think bottom line I learned how to communicate aspects of me that indicate to a potential husband that I would make a fabulous wife." This is exactly that direction girls want and need before their marriage. MashaALLAH!!! Excellent sister, you have done a great job. This is exactly that direction girls want and need before their marriage. You know most girls used to say I didn't have good advisor and now I'm here facing all of this problems etc. I never write and think anything about myself in such detail, but I have done Alhumdhulillah!!! Thank you so much for advising us and sharing this programme which will help us InshaaAllah. ‘Before the Find Your Mr. Right seminar I was very stressed about marriage and I didn’t really want to think about it. I didn’t know what to do, everyone knew I wasn’t married yet, it was really tough emotionally’ I really appreciated learning how to be open with my parents and family about exactly the type of brother I am looking for, and the conversation went well! I was able to be a little more open-minded and hear what they had to say as well and let them feel that they were heard and respected. Following through with the action items from the program, a few sisters put me in touch with different suitors they lined up for me, which was a great experience because before nothing was happening. I would recommend Find Your Mr Right to other sisters because if nothing has happened so far, trust things will definitely happen even if it’s not a huge change or great change, you will see a change after this program. ‘I have learned how to go about finding a husband. I have learned how to best present myself using appropriate language to communicate my personality without intimidating anybody or scaring anybody away. I learned how to create a marriage resume which is something, I exalt. I didn’t know how to write one although I was expected of making one. Because of that I have learned how to involve my parents in the process because my parents like to be here with me. I would tell other sisters that you have nothing to lose and it’s a whole gain for you by attending this program. You’ll be learning these things and you need to learn to step out from your comfort zone and more importantly you’ll be taking responsibility for what is a very important decision in your life. Q: How much does the Find Your Mr. Right Program cost? The Find Your Mr. Right Program is a $597 investment. Along with the course, you also get 1 year of access to all the benefits listed above for 1 year from the date you sign up. Q: Is there a a guarantee for the program? To remove the worry that this course might not offer you anything of benefit, I want you to first try the Mr. Right Program for yourself for 30 days. If after you go through the first four weeks material and listen to the Acceleration Q&A Sessions and you decide that it’s not for you I promise, you can request a full refund, and we will honor it. Q: Why do I need a program to find my Mr. Right while so many of my friends have found him without "over analyzing" this whole process? Your friends are already married, and you are NOT. It doesn't mean this is the ONLY way to get there faster, but it for sure is going to leave you in a place where you are more resourceful, finding more options, and feeling more confident about the marriage process, in sha Allah. Besides, the exercises and actions you take in this program are going to help you not ONLY in finding your Mr. Right, but it will be useful even after you are married! But what about time? Q: I don't have the time to even look for a spouse much less take a program to find him! Even if you are busy, you have to commit to your success. If you believe that you are ready to get married, you will MAKE the time for this. If you make getting ready for marriage one of your priorities, then you will FIND time. This system, in sha Allah, will actually SAVE you time in the long run, because I'm going to show not only the obstacles that could be in your way, but the common mistakes that many sisters are making that lead them to get married in 3 or 4 years, instead of 1 or 2. We've spaced this program out over six months to not allow you to feel rushed so you can complete these trainings on your own pace and schedule. Q: Isn't it just cheaper to do things myself? You are right: it is cheaper to do things alone. After all, your mother didn't pay for a service to help her get married, right? I understand that this is a new concept, and that you feel getting married should just happen. But if that were true, there wouldn't be a marriage crisis across Western Muslim communities where imams and counselors, and conferences are holding events to help people get married. The truth is, your investment isn't just to find a husband, but to be READY for marriage in the process. For all the money invested in your education, it's only fair to put some in the direction of such an important role in your life! Q: Who is this program for and not for? 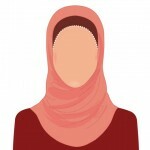 Are you a Muslimah between the ages of 25-42? Know that this is a myth! The myth, which you may have bought into, leaving you to feel depressed, full of despair, and low on confidence, has led both men and women to believe that the reason so many women aren’t getting married in the Muslim community is because they waited too long to get married. Q: Are you struggling with any fears about marriage that are preventing you from honestly taking the means to make it happen? Your fear will lead you to the wrong man, I can't say for SURE, but if it wasn't haram to bet,I'd be willing to because I've heard too many stories confirming this fact. I'll help you sift through your fears and overcome them, insha'Allah. Q: Are you embarrassed to sign up for a program like this? If that's the case, let me be blunt and ask you this. What it more embarrassing: signing up for an Islamic program about marriage or not being prepared to speak to a Mr. Right, or sitting at home just watching years pass as you wait for him to show up? There is nothing embarrassing about seeking knowledge and a "how-to" in this process. Q: Worried that this is some kind of online, shady match making program? Good news for you - this program has nothing to do with using an online matrimonial website. This about finding Mr. Right in the real world, not a virtual one! So, just to clarify a final time, I won't be entering your name into a database somewhere. What I will do is show YOU how to find him in the real world, insha'Allah. So, ready to do your part in Finding Mr. Right? I'm waiting for you! Q: I don't want to join a program where I have to stoop low and be deceptive in how I describe myself so I can just get married. I don't want that for you either. I do NOT want you to falsely market yourself, as I do not believe in deception. My goal, rather, is so simply help you understand WHAT to highlight from the unique qualities Allah subhanahu wa ta'ala has blessed you with. The problem is in NOT knowing how to describe yourself in the best way which makes it harder for others searching on YOUR behalf to find the right kind of brother. Spend The Next Two Years Married To Your Mr. Right, in sha Allah, Rather Than The Next Two Years Still Searching. Copyright - - Find Your Mr. Right.